Jim Yu is CEO of Brightedge, now recognized as one of the de facto enterprise SEO management platforms industry-wide. From a small start-upon the West Coast, Brightedge has grown rapidly and now employs over 200 people. 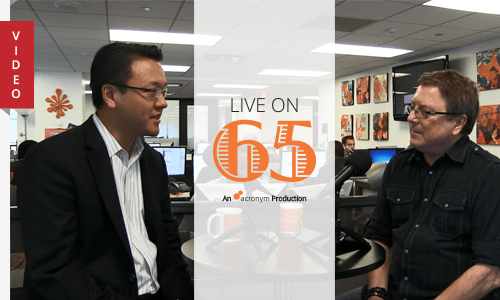 I sat down with Jim at Acronym for our Live On 65 feature in Tech marketing News to talk about the growth of Brightedge, the growth of Share—the industry conference produced annually by Brightedge in San Francisco—and what’s new and upcoming. Live On 65: Jim Yu from Acronym on Vimeo.